FacilitiesSaanvi Paradise is a sophisticated hotel with a graceful and warm ambience. 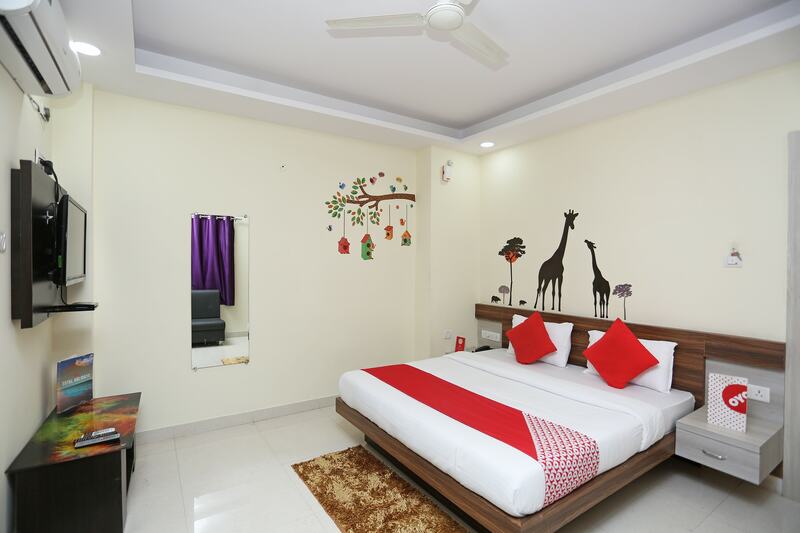 The bedrooms at the hotel have light colored walls with decals on them, bringing a lively ambience to the whole place. The windows are draped in bright curtains adding bursts of colours to the room. The bathrooms are well-maintained and equipped with modern amenities. A banquet hall is provided by the hotel for the guests to avail whenever they want. Other amenities offered by the hotel are free Wi-Fi, power backup, laundry and parking facilities.